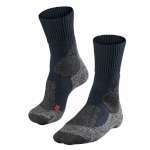 The women's TK2 socks from Falke, are medium volume socks that have been designed for long treks and walking. 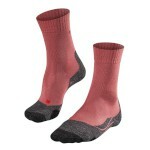 They offer great support and comfort making them a fantastic choice of sock for your next hike! 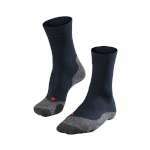 The TK2's are made from a Merino Wool mix for their warmth and moisture control properties, and have a patented anatomical fit. 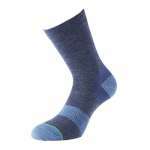 With this and the added features such as the wrinkle free toe area, ball and heel cushioning and comfort top this highly technical walking sock will offer you a comfortable walk. Falke socks are well known for their durability, long lasting performance and for keeping their material properties wash after wash which makes these an ideal choice of sock both for the trekking enthusiast, backpacking aficionado and for anyone who enjoys a lovely leisurely walk in the great outdoors!